Today in the “No excuses book review” I'm giving you 5 big ideas from one of my favorite books of all time: No Excuses! 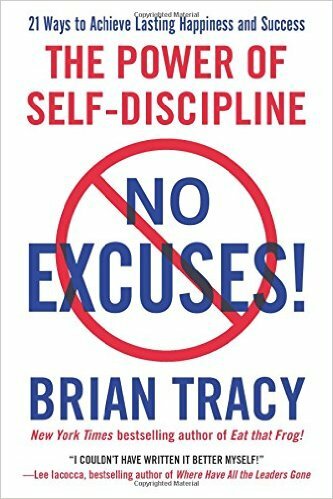 : The Power of Self-Discipline by Brian Tracy. How often do you find yourself thinking about doing something awesome but then rationalizing that it’s not a good idea? Now let me ask you this: Could you imagine Elon Musk, Steve Jobs, or a guy like Michael Jordan say something like that? My guess is probably not. And it's not an accident. Success is not an accident. Sadly, failure is not an accident either. Simply put you succeed when you do the things other successful people do, over and over, until these behaviors become a habit. Likewise, you fail if you don’t do what successful people do. We're creatures with a default mechanism, our default mechanism is that path of least resistance. And when you live in that “Someday” place you’re taking the easy way out. When you are not working deliberately, consciously, and continuously on things that lead to success your default mechanism is controlling your life for you. You end up doing those fun, easy, and low-value things in the short term that lead to frustration, health problems, financial worries and failure in the long run. The absence of self-discipline to make yourself do the harder thing now is the main cause of failure to realizing your true potential in any area of life. The fastest way to depression is to sit down and ruminate again and again about all the things that are not working. And sadly that's a trap a lot of people fall into. At the same time there's a secret in life most people aren't aware of, a sort of a universal law. Issues that occupy our minds can only be solved by taking more action. And issues that occur while taking action are solved by the mind. Lesson: If you're over-thinking something then start doing. If you're doing but not making progress start thinking. We are purpose driven. We NEED goals that drive us to be happy. Now sure how to set your goals? What is the goal I want to achieve someday? Based on my someday goal what is the one thing I can do to achieve that goal in 5 years? Based on the 5 year goal what is the one thing I can do this year to move me closer to that goal? Based on my yearly goal what is the one thing I can do this month to help achieve that goal? Based on my monthly goal what can I do this week to help me achieve my goal for this month? Based on my weekly goal what can I do today to help me achieve my goal for this week? Based on my daily goal what can I do right now to achieve it? Psychologists have found that the average emotional state we experience while watching TV is mild depression and apathy. As Brian Tracy says, it's as if a part of us *knows* that we’re not showing up where it truly matters. Why is blame so bad? Psychologists say that every time we put the blame on an external factor we give up control and responsibility. Think about last time you felt unhappy or stressed out. And now think if it was caused by something you couldn’t control? In psychology this concept is called — External locus of control. And over 90% of people believe that events in their life, whether good or bad, are caused by uncontrollable factors such as the environment, luck, other people, or some higher power. There’s something no one can take away from you regardless of all the external influences. And that something is your attitude. Your attitude is one of the few things in life where you have a true choice. In other words you cannot change the random things life throws at you. However you can change how you react to such things. Moreover attitude is more important than anything you do. As it can make or break families, relationships, businesses, and nations. It is more important than school, talent, looks, or wealth. For this reason how you react to things you can't control means everything. And it's a choice you can make every minute of every day. If you are in control of your attitude, you are ultimately in command of your life. And that is the only way to truly be happy with yourself. Hope you enjoyed the “No excuses book review” and the summary of 5 big ideas! I could've easily written a 10 000 word article on this book. It's a true life changer. Tired of all the cookie-cutter programs, and quick fixes? I have some good news. 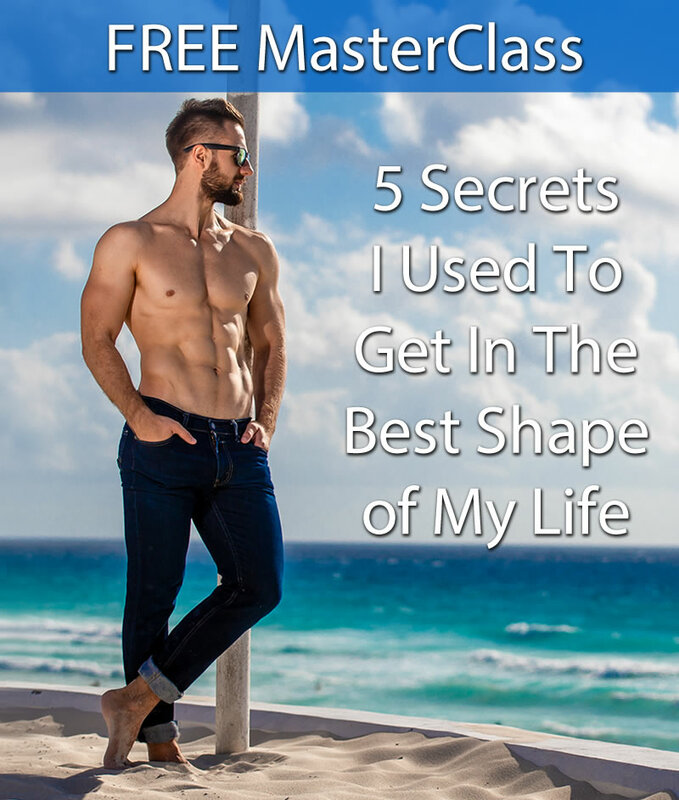 I'm hosting a Free Masterclass where I'll reveal how to finally get in the best shape of your life and maintain that shape.